Kevin M. Boylan. Losing Binh Dinh: The Failure of Pacification and Vietnamization, 1969-1971. Lawrence: University Press of Kansas, 2016. 365 pp. $34.95 (cloth), ISBN 978-0-7006-2352-5. Kevin M. Boylan’s Losing Binh Dinh: The Failure of Pacification and Vietnamization, 1969-1971 seeks to test the revisionist claim that the United States was winning the Vietnam War through its pacification efforts after the Tet Offensive but lost anyway because policymakers did not stay the course. Boylan does this by focusing on a particular province to explore the interrelationships between pacification and Vietnamization, arguing that they worked at cross purposes, ultimately failing both to prepare South Vietnamese troops to fight independently and to eliminate the VietCong insurgency. Vietnamization, in particular, could not succeed because of poor South Vietnamese leadership, which also challenges the revisionist claim that indigenous leadership improved significantly after Tet. Kevin Boylan draws on his dual background as a defense analyst concerned with Iraq, among other issues, and as a graduate with a PhD in military history from Temple University, where he studied under Russell Weigley. The author recently left his position as a history professor at the University of Wisconsin-Oshkosh to support his wife’s academic career.Overall, Boylan challenges revisionist approaches, claiming they rely excessively on top-down assessments made by high-ranking policymakers and overly sweeping views of South Vietnam. 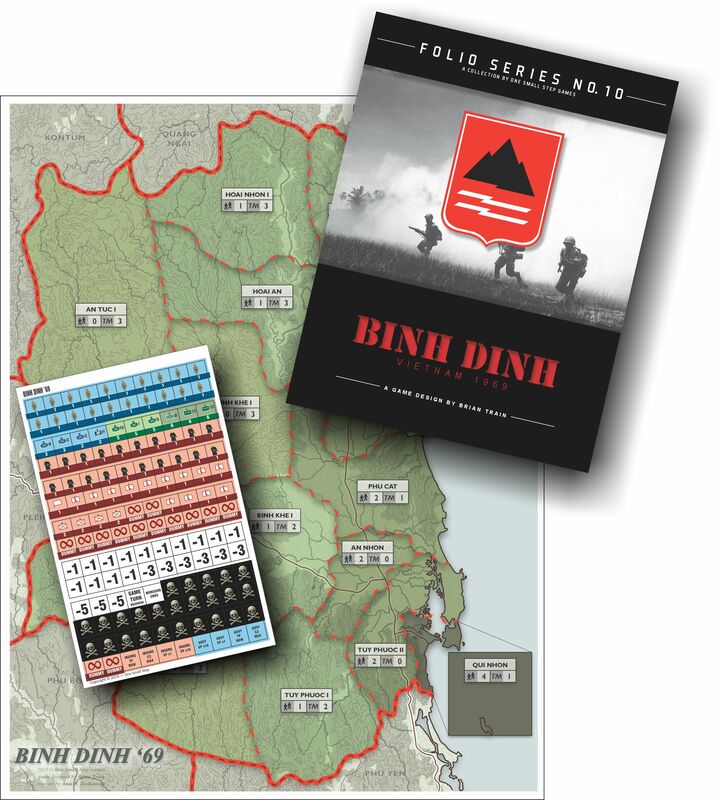 By contrast, Boylan takes a bottom-up view focused on the specific province of Binh Dinh in order to better understand the localized and multifaceted nature of insurgencies. While certainly not the first to take this approach, he has chosen a province that represents a geographical aberration in South Vietnam, which made it especially challenging to pacify. In particular, it had poor soil that made it difficult to sustain its overpopulated numbers. Communist ideology thus found a receptive population, becoming entrenched as early as World War II, when the Viet Minh filled a power vacuum enabled by French defeat and gained a reputation as nationalists for battling the Japanese. In short, the province could be considered the Appalachia of South Vietnam. Ironically, early pacification efforts made significant headway, offering hope that they might be successful. From April 1969 to December 1970, the 173rd Airborne worked in Binh Dinh to “secure individual hamlets” while providing training to the Territorial Forces that ultimately would replace it (p. 8). In this way, the approach certainly represented a more population-centric method of counterinsurgency than the United States previously had attempted in Vietnam, although it would be dangerous to draw many comparisons to recent US COIN efforts in Iraq and elsewhere because this program did not attempt to win “hearts and minds”. Rather, it represented a “quick fix” designed to regain “military control of enemy-dominated communities” (p. 48). This approach rested on policymakers’ assumptions that villagers were “apolitical” (p. 287). By contrast, the VietCong had a more targeted policy of maintaining their “psychological grip” on those villagers most likely to be active in leading their communities (p. 289), which provided them with an important advantage. If Communist morale and activity did suffer greatly in 1969, however, those gains resulted from the efforts of US rather than South Vietnamese troops. Moreover, all of the US military effectiveness in the world could not counterbalance the local government’s political shortcomings. Simultaneously, the Phoenix program failed to destroy the Vietcong infrastructure even as the Communists increasingly responded to pacification’s successes by engaging in acts of terrorism against local government officials. By 1970, policymakers problematically sought to both enlarge and consolidate pacification, effectively working at cross purposes. The exodus of US troops from the country only made this even more unrealistic. Meanwhile, the United States hoped optimistically that more training of the Territorial Forces might turn the tide. But Boylan compellingly argues that all of the training in the world could not solve the real reason Vietnamization failed—an almost unsolvable problem with South Vietnamese leadership. He depicts Vietnamese officers who eschewed the support of their advisers, just seeking access to “stuff”—particularly the logistical and firepower support the US provided. Most of their “casualties” resulted from desertions rather than battle. Advisers bemoaned that belaboring Vietnamization just made these patterns worse, because the South Vietnamese only became more dependent on the United States. In short, the South Vietnamese simply had not “commit[ed]” themselves to winning (p. 83). In large part, though, Boylan concludes that this can be explained by the fact that the “South Vietnamese themselves were never fooled” about the depth of US commitment (p. 295). This conclusion, however, rests on the kind of sweeping generalization about South Vietnamese morale that he critiques the revisionists for making, which ultimately challenges his provincial focus. A clearer overarching roadmap to guide the reader either in the introduction or within the individual chapters themselves also might have helped to alleviate some of these problems, as one frequently arrives at the end of a chapter with only the unfolding of the narrative to guide the reader as to the author’s overarching purpose. It is almost impossible for the reader to avoid drawing tragic comparisons between today’s current conflicts and debates about how and if victory is even possible. Ironically, the United States did make substantial short-term progress in pacifying Binh Dinh, but it failed utterly at Vietnamizing the war, which made victory unattainable. Pursuing both at the same time was impossible. As a high-ranking US official wrote in 1970, “We have gone about as far as we can go in turning this country into an armed camp” (p. 289). This work could have done more to shed light on perspectives from the Vietnamese “camp,” but it does provide an excellent exploration of how Vietnamization and pacification coexisted uneasily in a challenging province in South Vietnam.
. LinkedIn profile, https://www.linkedin.com/in/kevin-boylan-538835128, accessed January 22, 2018. Citation: Heather P. Venable. Review of Boylan, Kevin M., Losing Binh Dinh: The Failure of Pacification and Vietnamization, 1969-1971. H-War, H-Net Reviews. March, 2018. The Player’s Aid: Best 3 Games with… Designer Brian Train! Oh my. I really did not expect this. I’m touched by this, and happy that he’s enjoyed my work enough to write such nice things about it. Thank you Grant!